Dr. Suzanne Sirota Rozenberg approaches dermatology more uniquely than most. After practicing Family Medicine for ten years, as well as specializing in the treatment of varicose veins, she retrained for the field of Dermatology, completing a residency program over the course of three years. Seven years ago, as a Board Certified Dermatologist she opened a full service medical practice that includes spa services as well. In addition, Dr. Sirota-Rozenberg is the 2013-2014 President of the American Osteopathic College of Dermatology and is currently the Program Director for the Dermatology Residency Training Program at St. John’s Episcopal Hospital in Far Rockaway, NY. 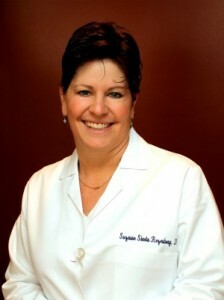 Dr. Sirota Rozenberg holds Board Certifications from ACOFP, ACOPM-Sclerotherapy and AOCD. “We offer a comprehensive approach to skin care” said Dr. Sirota-Rozenberg. My background in family medicine allows me to see people as a whole.” She takes the time to listen to and learn about all aspects of her patients. Her multi-level center offers a relaxing atmosphere, compounded by a courteous and caring staff. Office Manager, Donna Frangiamone, can answer most questions and Aesthetician, Goldie Bar-Ilan is known for her terrific 90 minute facials. The center offers care in medical, surgical, and cosmetic Dermatology. Laser treatments are used to diminish unsightly veins, wrinkles, scars, age spots, skin tightening and for hair removal. Peels, SRS 3 Layer Skin Rejuvenation, Acne Therapy, Photo Facials, and masks are all techniques used for improving the skin. Their Microdermabrasion sessions end with an ultrasonic treatment, to replenish the moisture in the skin. In addition to administrating Botox and Dysport they offer fillers like Juvederm, Radiesse, Restylane, Perlane, and Sculptra. Electrolysis, eyelash extensions, and permanent make-up are some of the cosmetic services offered at the Spa.